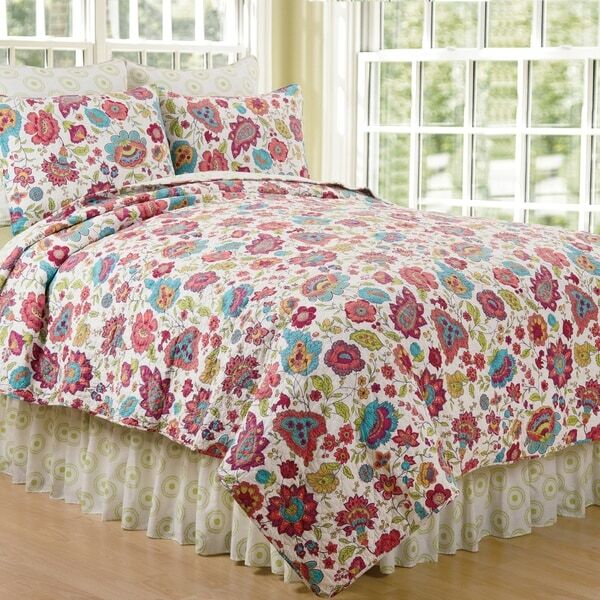 Cheerful and bright, the Eva cotton quilt set brings life to your bed. In a vibrant colorway comprised of fuchsia, blue, yellow, green, and coral, this isn't your average floral quilt. Reverse to a green on white shibori inspired design for alternate styling options. Crafted of cotton, this bedding set is machine washable for easy care. Coordinating accent pillows, euro shams and bed skirt available separately. Love this look? This pattern is also available in our tabletop collection.